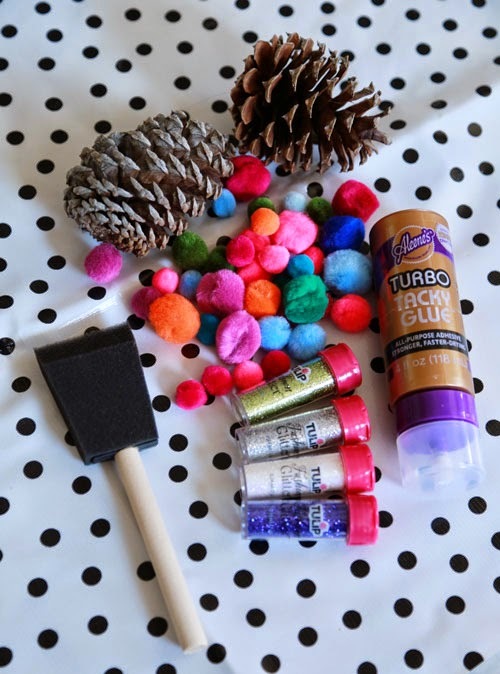 Looking for an easy-yet-impressive, fun, fast, kid-friendly craft you can make in bulk? One that is perfect for a party or classroom? 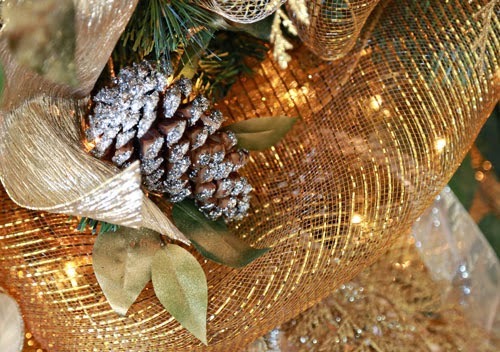 One that looks good on a Christmas tree or just grouped together as a wintertime centerpiece? Look no further, my friend. 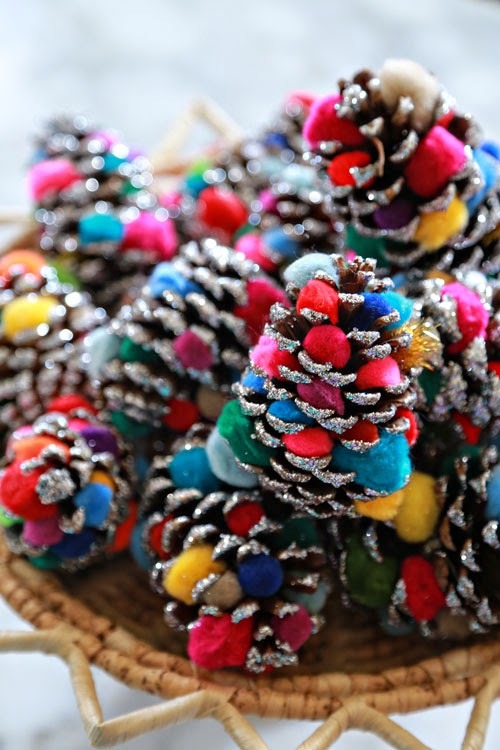 Glittered pompom pinecones are the answer! Want to make some at home? 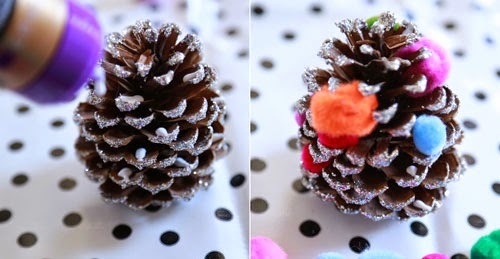 Use the edge of your sponge to apply glue the edges of the pinecone, then sprinkle with glitter. You may want to do this inside a cardboard tray, or a piece of paper that can be used to funnel the excess glitter back in the bottle. 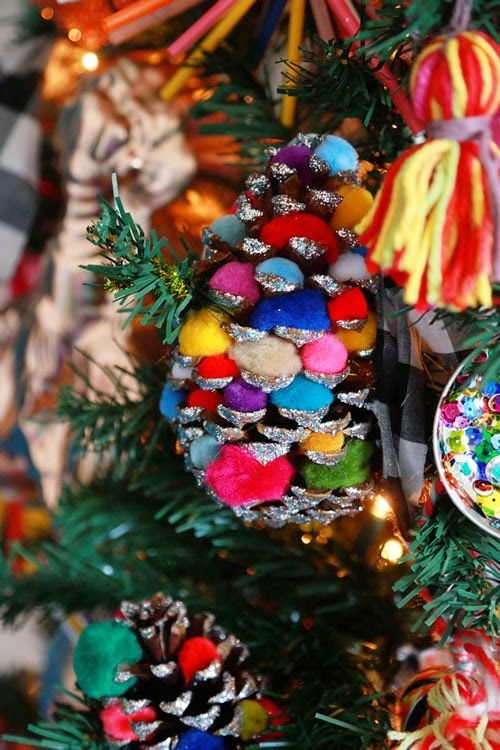 After the glitter is on, use the precision tip of the Tacky Glue bottle to add a small dot of glue just inside the tips, then poke the pompoms inside (most pinecones will hold the pompom just fine until it dries). Stand back and admire your work. Ooolala! 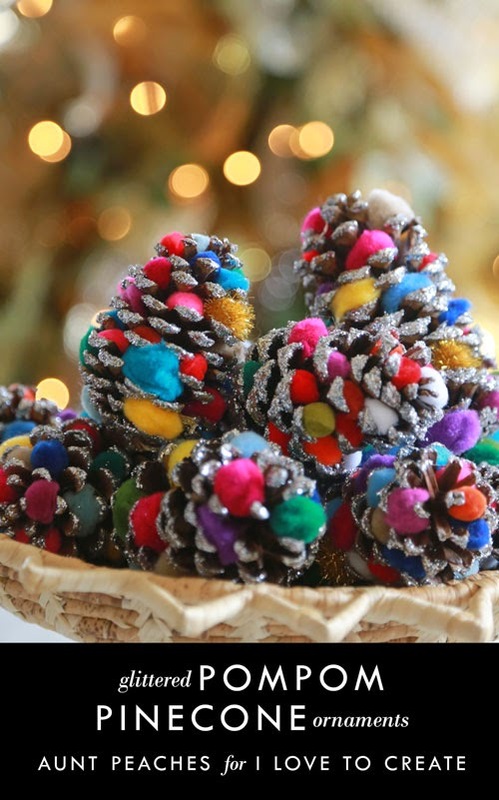 If you are using these on an artificial Christmas tree, you don't need to add a hanger -- one of those wired branches will fit nicely between the ridges of the pinecone and hold on just great. Easy on - easy off. If you want to add hangers, I suggest a brightly colored thread or clear fishing line. Is your tree more monotone this year? Don't worry about pompoms. 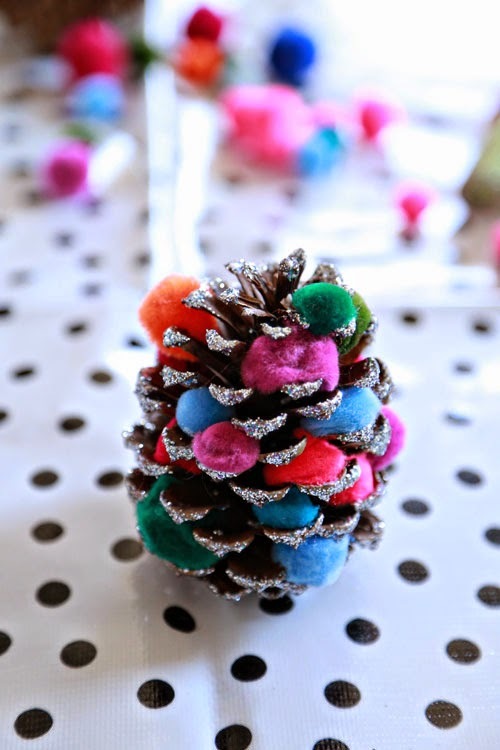 Glittered pinecones look great all on their own. bespoke silver jewellery-Moon Jewellery offers handmade silver jewellery, bespoke wedding rings, contemporary silver jewellery, silver jewellery online. Free delivery with orders over £50. party dresses for women -Onlineking.co.uk is the trading name of Versatile Online Ltd. UK based e-commerce company proividing business to consumer and B2B sales services. Its online market place; a place for buyers to come together and buy almost anything focusing current and high fashionable items ranging from different designs, value and money worthy. cheap gifts and gadgets-Discover the coolest things you can buy Creative Gift Ideas, Gift Ideas for Girlfriend & Good Gift Ideas at CheekyBox.co.uk inspirational range of unique and unusual gifts. silver jewellery online-Moon Jewellery - Contemporary silver jewellery, online shop with handmade Necklaces, Bracelets, Earrings, Rings, Sets, Engagement Rings, Wedding Rings, Jewellery Accessories & Gifts. cosplay costumes for sale-XCOSER Team focuses on the newest movie, anime, and game cosplay costumes. contemporary silver jewellery-Moon Jewellery - Contemporary silver jewellery, online shop with handmade Necklaces, Bracelets, Earrings, Rings, Sets, Engagement Rings, Wedding Rings, Jewellery Accessories & Gifts. Nice blog. Thanks for providing such a creative and innovative decorating tip. 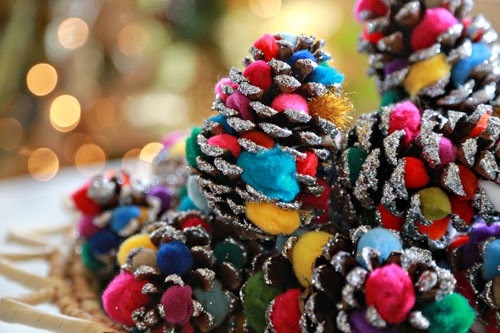 The pine-cone look beautiful after decoration.